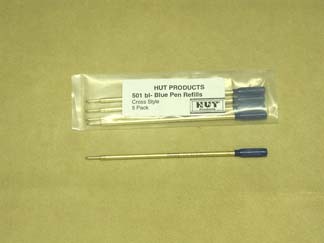 HUT™ Products offers a variiety of pen refills including the Parker® and Cross® style ballpoint refills, Hauser Rollerball refills, Schmidt® Rollerball refills, Fountain Pen refills, and refills for the Teachers Pen. 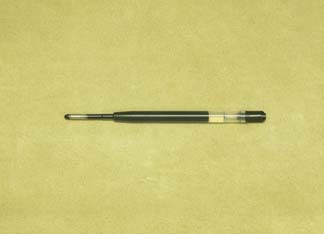 We also carry Palm Pilot Stylus Refills in the Cross® and Parker® styles. 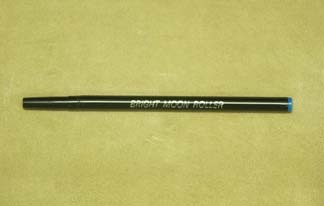 This refill is for ballpoint Pens. 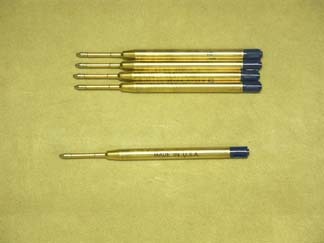 Five refills to a package. 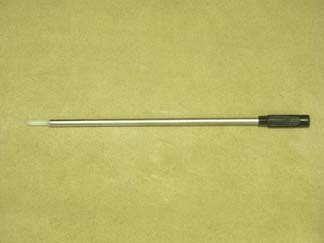 This refill is for a ballpoint Pen. 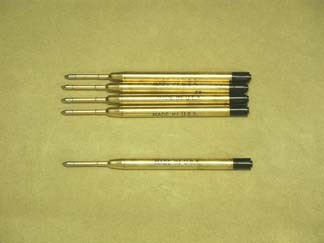 Five refills to a package. 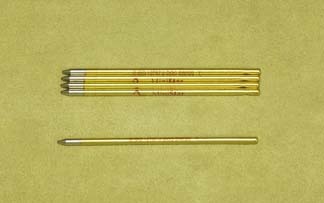 These Parker® style refills are sold individually. These refills come in packages of five. 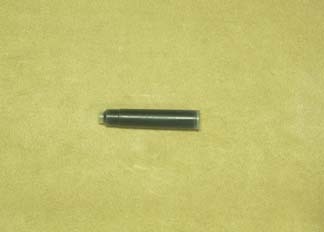 These refills may also be used for the 0627 Pendant Pen. 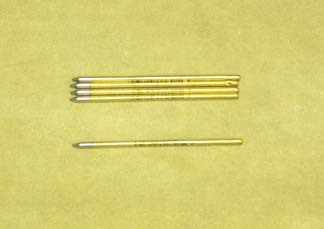 These refills may also be used in the 0627 Pendant Pen. Requested by customers that have legal papers to sign. Sold individually.